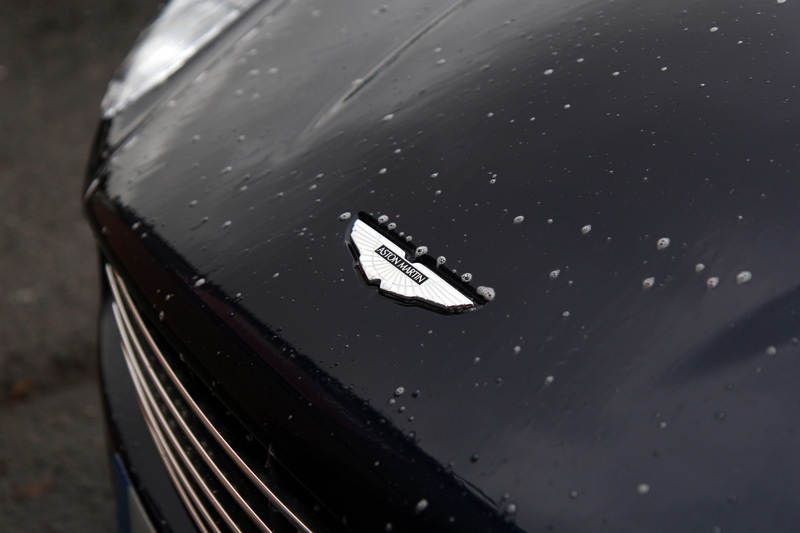 The Aston Martin DBS went into production in 2007 after the global reveal event at Pebble Beach Concours D’Elegance. 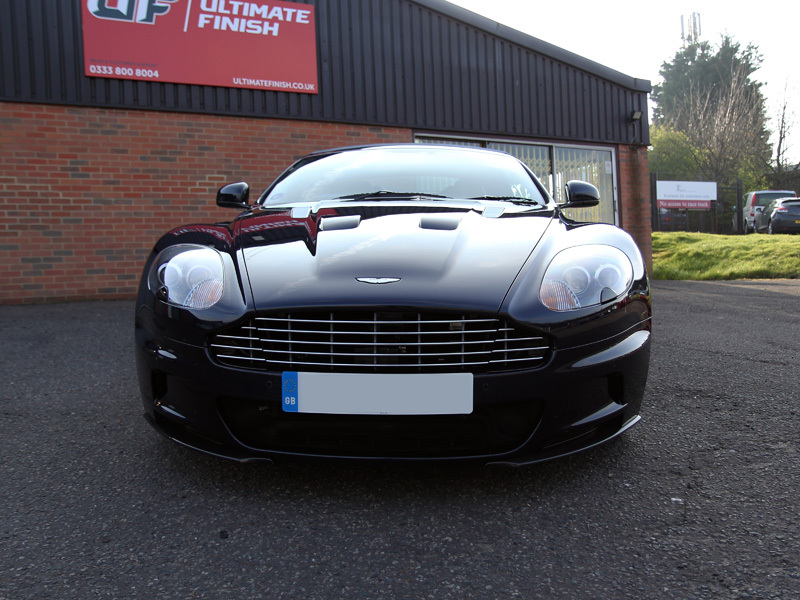 However, its true debut was in the 2006 James Bond film ‘Casino Royale’, when it crashed, literally, into the consciousness of the Aston Martin loving enthusiast as Daniel Craig’s automotive weapon of choice. 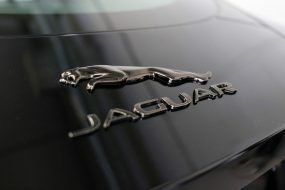 And what a car! 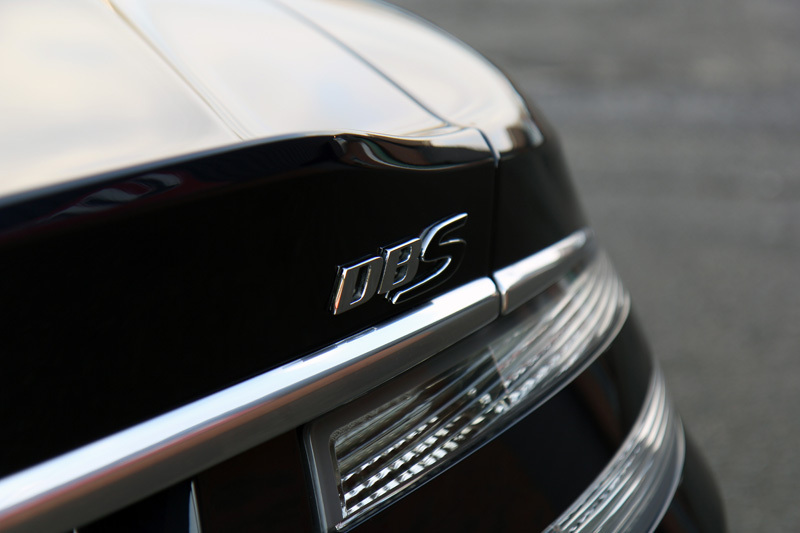 The perfect combination of elegance, refinement and sleek seductive power, the DBS displays some fearsome statistics: a maximum torque of 570 Nm (420 lb-ft) at 5750 rpm and a top speed of 190mph, the front mid-mounted 5.9-litre V12 engined DBS earns its stripes as a high-performance GT car. A specially designed aluminium, magnesium alloy and carbon-fibre composite body combine rigidity with weight economy to keep the power firmly on the road. Inside, it quickly becomes obvious as to why the world’s classiest secret agent would select it for his preferred mode of transport. 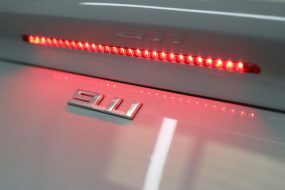 Attention has been paid to the smallest details, from the fine quality leather seating and sports steering wheel to the carbon fibre door trims and door pulls. 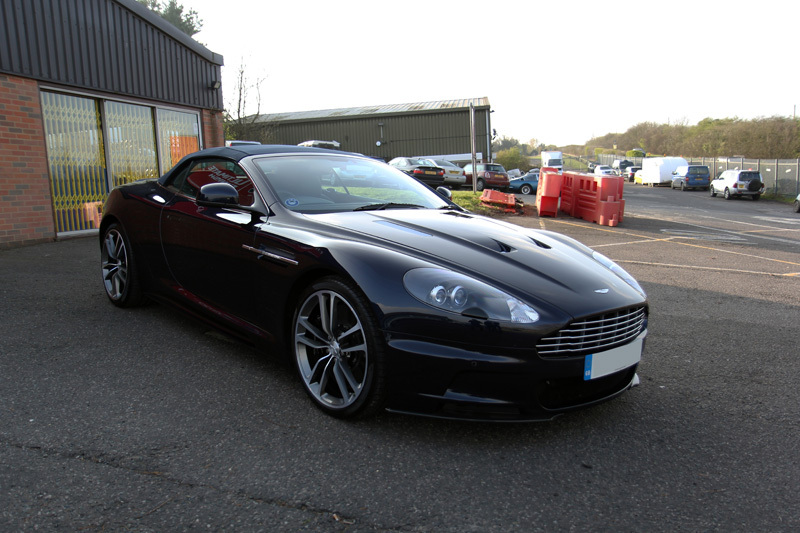 Initially, only available as a coupe, in 2009 Aston Martin began production of the Volante. Clever engineering has resulted in outstanding rigidity compared to the coupe, giving top-down, hair-tousling enthusiasts something else to celebrate. Unlike many convertibles, the Volante loses none of its imposing beauty when the roof is down. 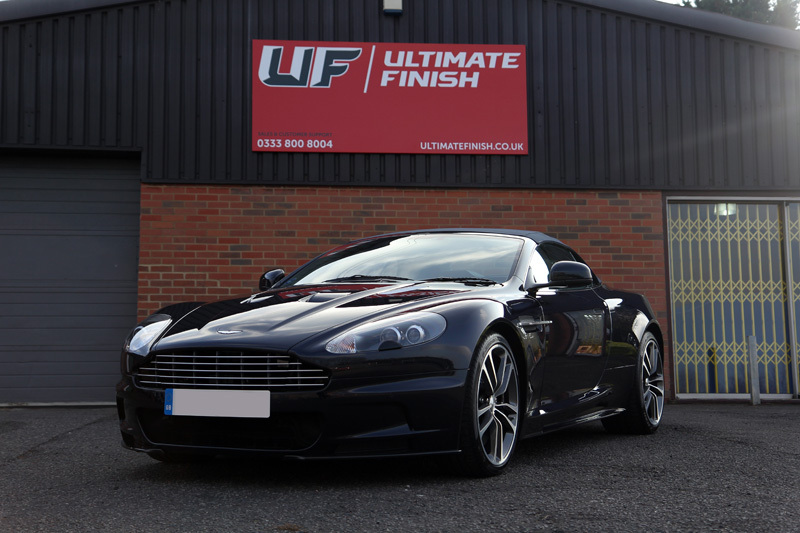 The owner of this 2010 DBS Volante was keen to have its full aesthetic appearance restored, so booked the car into UF’s Brands Hatch studio for a Gloss Enhancement, with a Platinum Sealant upgrade, ClearVision Glass Treatment and Alloy Wheel Protection. 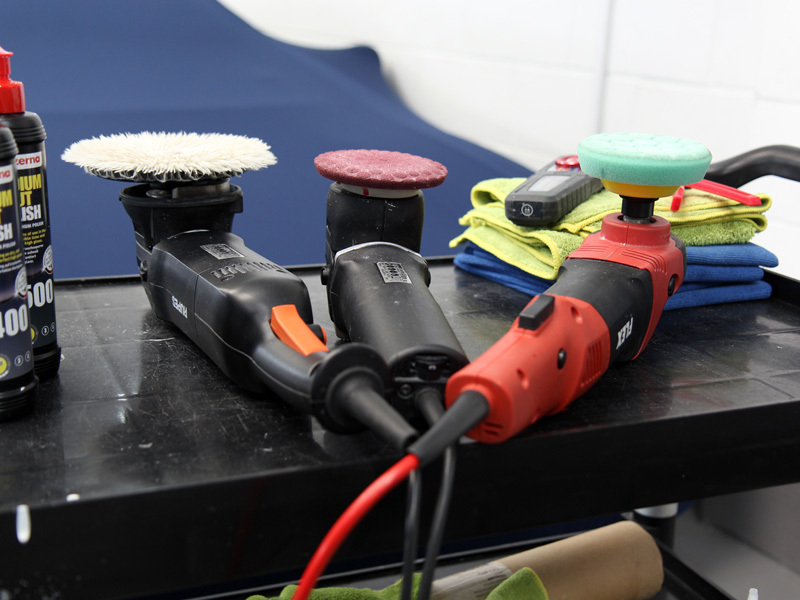 On arrival, the DBS was thoroughly cleaned to remove all traces of hidden contamination. 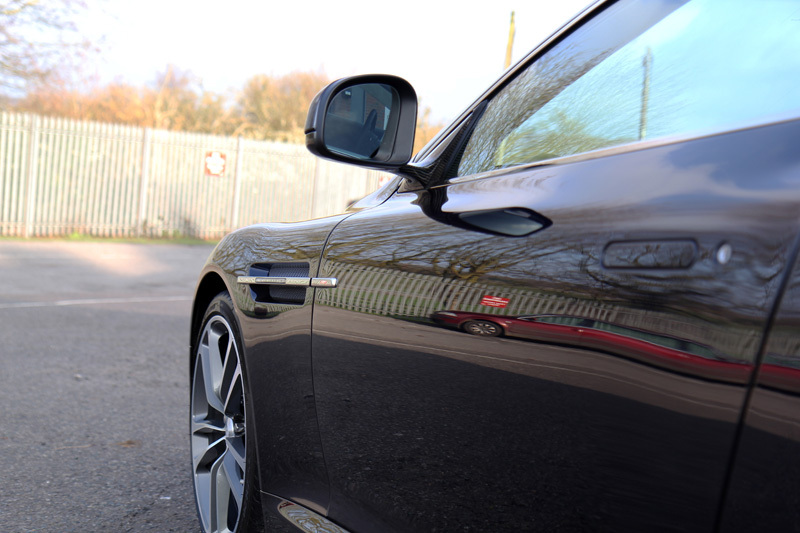 The bodywork and wheels were treated with Gtechniq W6 Iron & General Fallout Remover. 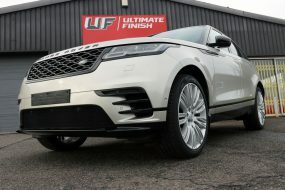 The solution of W6 was allowed to dwell for a few minutes to neutralise any metal particles and then jet washed off before Bilt-Hamber Surfex HD was applied to the whole car to address any oily road grime and grease build-up. Particular attention was paid to the bonnet, boot and door catches, natural traps for grease and grime. The car was then pre-cleaned using Ultimate Snow Foam to remove larger particles of dirt and grit. After rinsing off the initial application, a second application was used as the lubricant for a clay mitt. These mitts perform a function similar to traditional clay bars, shearing stubborn nubby contamination away from the bodywork to leave the paint as smooth as glass. The foam was then rinsed off before the fabric roof was cleaned using Renovo Fabric Soft Top Cleaner. The solution was agitated with a Wheel Woolies Natural Horse Hair Convertible Top Brush. The diamond cut alloy wheels featured a fairly intricate spoke design, so to access through to the back of the rim, a selection of Wheel Woolies wheel and caliper cleaning brushes were used. The DBS was washed using the Two Bucket Method, an Ulti-Mitt Double-Sided Merino Wool Wash Mitt and Nanolex Pure Shampoo. Once clean and rinsed, an Aqua Gleam De-ionising Water Filter was attached in-line with the hose to give a final, pure water rinse. After careful drying using ultra-soft microfibre towels, the DBS was brought into the studio for close inspection under high-intensity lighting. 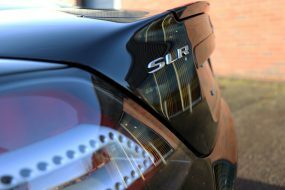 Close inspection of the paintwork was carried out using a SCANGRIP SUNMATCH lamp and the areas and type of damage noted on the Vehicle Appraisal Sheet. The lighting revealed a myriad of wash swirls giving the paintwork a flat, dull appearance. Additionally, groups of straight line scratches, some quite deep as if from contact with hedges, were visible. Bug remains had caused etching along the front of the car along with some scuff marks along the rear quarter panel. Some sanding marks with tell-tale pig-tailing were also visible on the inside of the left-hand side air vent. 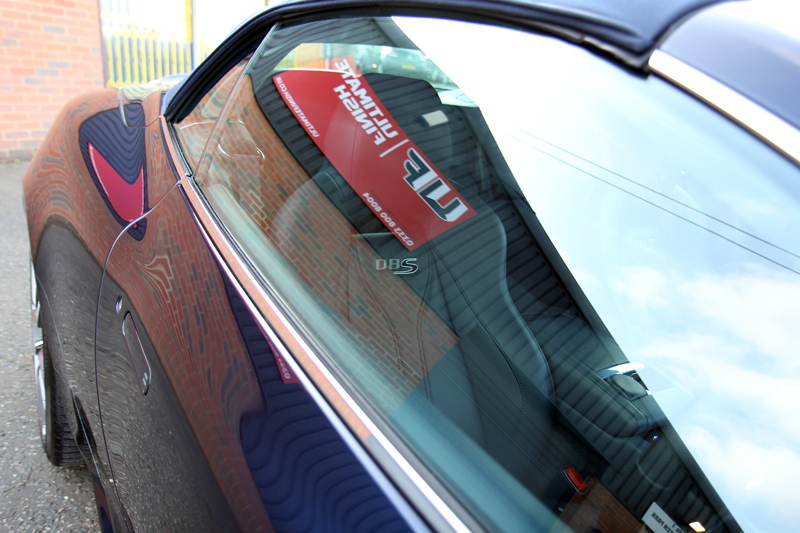 Correction of the larger panels was carried out using a RUPES BigFoot LHR 15ES Random Orbital Polisher. To work on the contoured areas, particularly along the air inlets and swoops on the side skirts, a BigFoot LHR 75E Mini was used. The RUPES Mini has a smaller 12mm throw which creates a focused polishing action achieving the desired results more efficiently. A Kamikaze Collection Banzai Dynamics Red Polishing Pad helps to disperse unwanted heat generation using Dot Point Polishing (DPP) technology whilst retaining a superb cutting action. Koch-Chemie Heavy Cut H8.02 compound was selected due to its high lubricity which enables longer working times. Refining the paintwork required Menzerna Medium Cut Polish 2400 with a fresh Kamikaze Collection Banzai Dynamics Red Polishing Pad. The final finishing stage was completed using a Kamikaze Collection Banzai Dynamics Black Finishing Pad with Menzerna Super Finish Plus 3800. 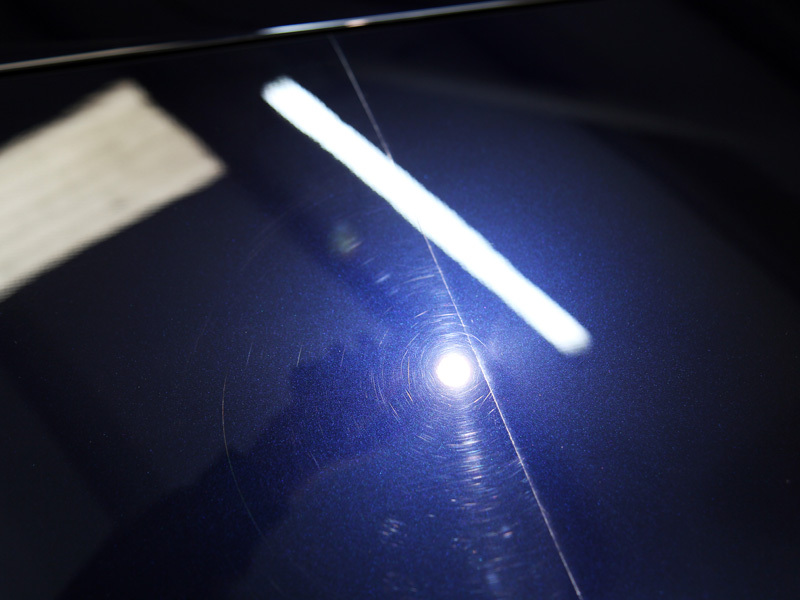 With the blemishes and damage now removed, the paintwork was ready for a nano-coating to preserve the appearance. Kamikaze Collection ENREI Coat represents the latest innovation in nanotechnology-based coatings. ENREI Coat is a two-stage sealant, firstly a primer layer is applied to prepare the surface ensuring it is smooth and uniform. This allows the molecules in the top coat to form the maximum number of bonds possible with the primer ensuring the highest level of protection and longevity. ENREI provides superior resistance to chemicals, repels water and therefore waterborne contamination, oils and grime. Treated surfaces remain cleaner, longer and contamination will not bond as readily. Maintenance washing is therefore much easier, requiring less pressure and negating the need for harsh chemicals. Due to the very specific technique required to ensure maximum performance of the coating, along with the requirement for tightly controlled environmental conditions, ENREI is available only as a service through Kamikaze Collection trained and certified detailers. 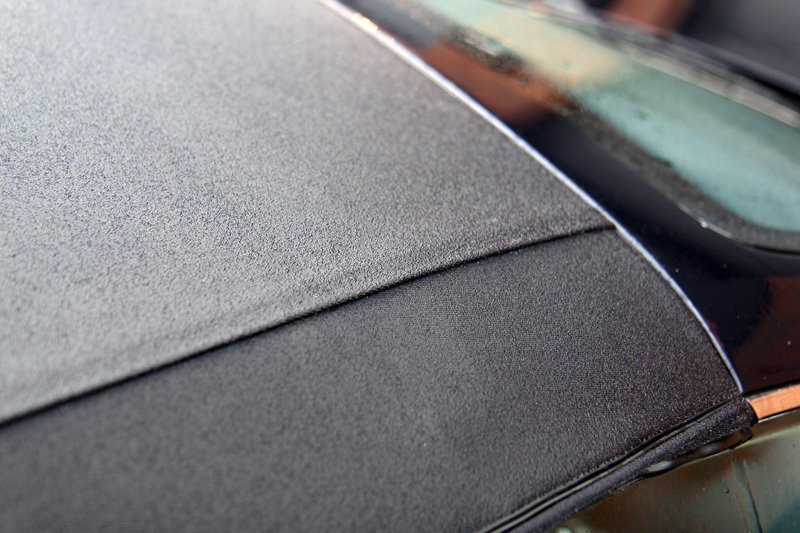 Before sealing convertible soft tops, it’s essential to ensure that the fabric is completely dry as any moisture will become trapped after the water-proofing agent has been applied. So, after using a hot air blower to remove all traces of moisture, the bodywork and glass were masked using a fine protective film before Gtechniq I1 Smart Fabric Coat was applied. 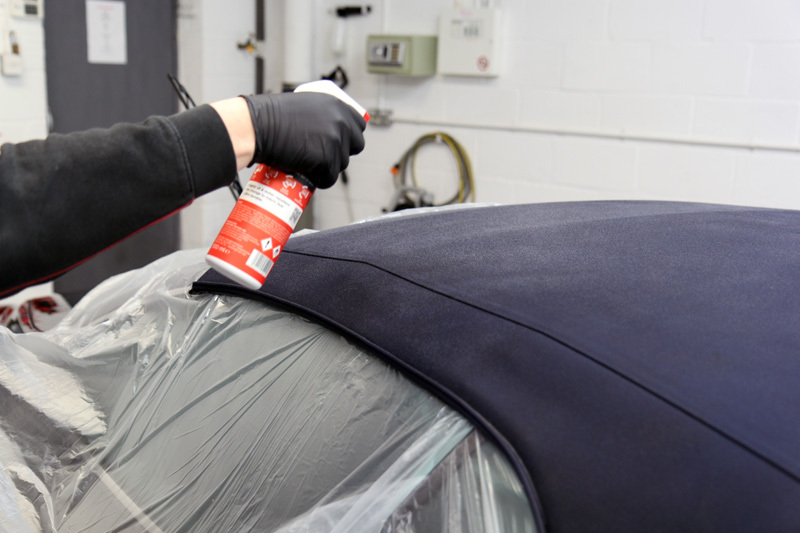 Highly hydrophobic, I1 coats the individual fibres of the fabric to provide comprehensive protection from the elements without affecting the colour or the texture of the soft top. Dirty water, grime and oils adhere to wheels and quickly become baked on which can cause etching and staining. 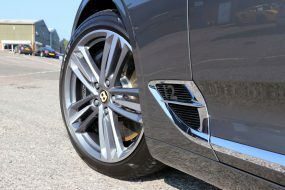 To protect the wheels from this type of contamination and potential damage, Kamikaze Collection Stance Rim Coat was applied. Stance Rim Coat combines unique components that, once cured, form a slick, heat resistant barrier that repels water, dirt, oils and grime (as well as inhibiting brake dust for cars with standard brakes). 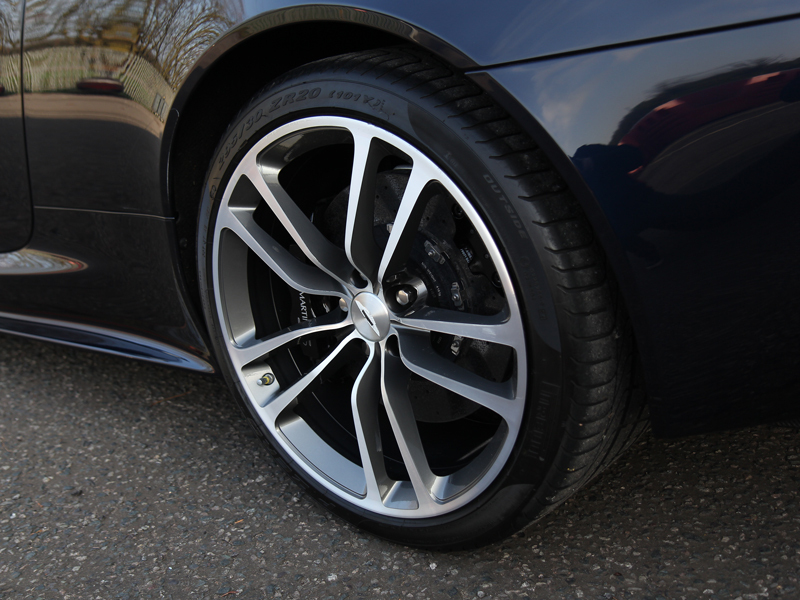 Treated rims maintain gloss and are easier to clean during the weekly wash.
Driving during bad weather conditions can be difficult and tiring. To repel rainwater, snow and ice, Kamikaze Collection Intenso Window Coat was applied. This hydrophobic coating encourages rain to form into beads on contact and inhibits waterborne contamination from sticking to treated surfaces, keeping windows cleaner for longer. With the paintwork now restored to its former glory and ultimately protected, the DBS Volante is ready for its next secret mission!